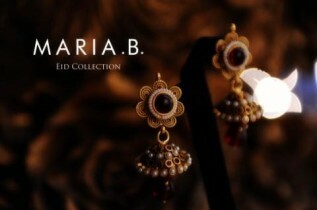 Maria B is recognised and shinning name of fashion industry in Pakistan.She graduated from ‘Pakistan School of Fashion Design’, now known as ‘Pakistan Institute of Fashion Design’, that is affiliated with the La Cambre Syndicale Paris.During her four years of fashion studies she throughout got first position, after completed her graduation she launched her company in 1998, Maria B fashion house is the first proffesional fashion house in Pakistan. In 1997, Maria won “Les Etolies de la Mode” a fashion competition held in Belgium, in this competition she was also named as one of the three up coming designers of the world. She not only understands fashion and trends but has been a trend-setter and fashion icon for years.This year she designed below knee lengthening hems with overstate paneling ultra chic glamorous dresses and very stylish collection of bags shoes and accessories.She designed great cut, lovely colored girl collection that gives amazing adorable look.Here you can view her collection of dresses shoes and accessories etc. 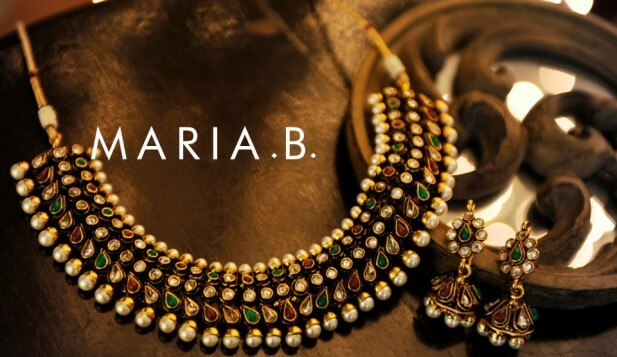 She is widely known for her party wear,casual wear, jewellery,bridal wear and shoes for girls.Recently she has launched new party wear collection 2017 with trendy and decent cloth, shoes and jewellery for women.The creativity of the Maria B work can be seen in her new formal dress collection for the women. 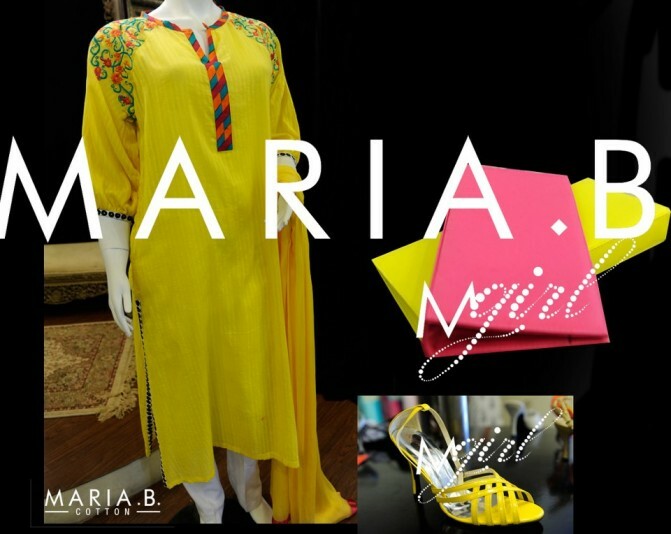 The dresses are really stylish as they have been perfectly made for the Pakistani ladies. Lets have look on fabulous party wear collection 2013.